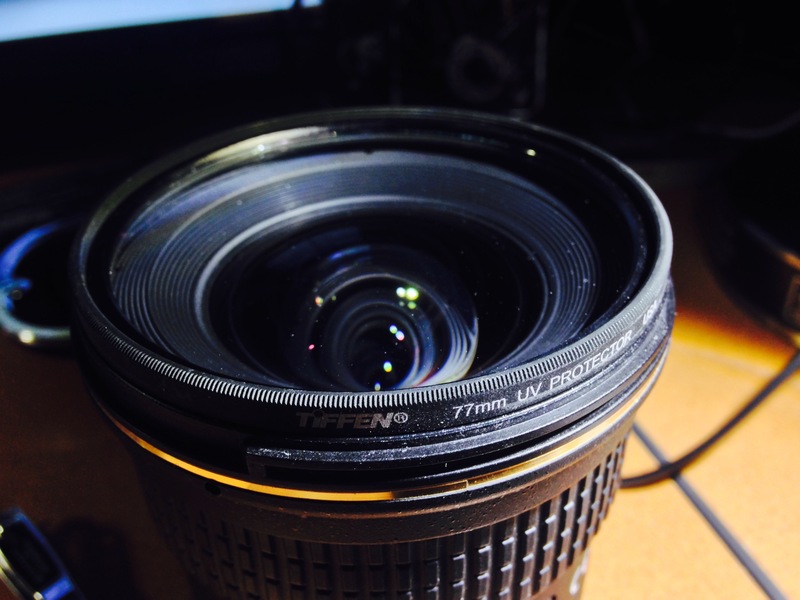 My first accessory for every lens – UV filter. Folks, if you’re serious about your photography equipment – even if you’re not a photographer by trade, but simply want to protect your gear as best you can – there’s no better investment than the UV filter for your lens. Any lens. It doesn’t matter if you’ve got the Canon 1DX, the Nikon D3X, a mirrorless camrea, a point & shoot or a camcorder – there’s almost always a UV filter that will fit your gear. You don’t want to learn from experience that a simple lens filter could have saved some fairly expensive equipment. I remember the one time I dropped my camera gear. We were on vacation and it was a simple camcorder (huge compared to the ones today) hidden deep in a backpack of other “toursity” things. I heard it fall off the stroller and crack the pavement. I thought for sure the camera was done for. The only thing that broke was the UV filter! It’s now the very first accessory I purchase whenever I get a new lens. I cringe when I see a lens without one. That glass is delicate people. Take care of it. You don’t want it looking like this.